Happy Thanksgiving, everyone! We all have so much to be thankful for . . . even if we have to think hard to figure out what those blessings are. I hope you all have a wonderful holiday celebration. Before we get started with WFW, I need to remind you (just in case you forgot) that I'M HOSTING GIVEAWAYS!! Don't miss out! I've already had #1, #2, and #3, and #4 will be happening either this week or next! So, keep checking back on my "Happy 100 Giveaways" to enter . . . and win! There's one more giveaway coming up NEXT WEEK, after the holiday. Wallet-Friendly Wednesday is an opportunity for you to share your latest bargain shopping finds, thrift store outfit deals, DIY projects, side-of-the-road pick-ups, consignment shop steals . . . ANYTHING you've done that's saved your money. Use your imagination! Share whatever you've done to save money recently! List it here so that other Bargain Shopping Paradise readers can get inspired. It's a great way to share ideas, and I love seeing how creative everyone gets when it comes to saving money! Please only list family-friendly links. Include your blog name and the name of your "brag" in your link. If you've never bragged about your bargains before, start now! Simply blog about your most recent bargains and link back here! I'll feature my favs from your links in next week's WFW post. Can't wait to see your ingenious bargains! And, don't forget to enter to win prizes all month long in my "Happy 100!" giveaways! 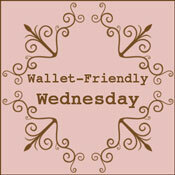 This Wallet-Friendly Wednesday post is brought to you by . . .
Just letting all you crafty people know that there's a fabulously fun giveaway going on over at the Thrifty Decor Chick blog for a Silhouette craft cutter. Hurry on over and enter for your chance to win! The giveaway ends on Cyber Monday, 11/29. Good luck! Shanty2Chic is also giving one away . . . enter to double your chances of winning one! This one also ends on 11/29. And . . . yet another is going on at Just a Girl (ends Monday morning). I wanted to share a very valuable Web site with you all, in case you haven't heard of it or aren't using it, yet. Especially with holiday shopping and "Cyber Monday" fast-approaching, you NEED to be aware of RetailMeNot.com. This Web site is a store-house of online and printable coupons for just about ANY retailer you can imagine! Sign up for their e-newsletter, and they'll send the deals right to your inbox. They also have browser add-ons that will alert you to available coupons, while you're browsing retailers' Web sites. I have one installed in Firefox and will be adding the Chrome extension today! They also rate each coupon's reliability/success rate. Pay attention to when a coupon was added, though. If the date is from 2 years ago, the coupon is most likely not active. :) Just be aware that this is a user-diven Web site, and some coupons may not work—it just depends. However, I have had success with this many times, and it doesn't hurt to try a coupon. It could save you LOTS of money! Things have been a bit overwhelming around here, lately—between all of my computer issues from a few weeks ago, a kitchen remodel, taking care of a very active toddler, my regular job, and . . . trying to get through my first trimester of a new pregnancy. And, now the holidays are FAST approaching! Whew! If you notice some lags in my postings, these are the reasons. I have been rather sick with this pregnancy, which has been a bit all-overarching. Ugh! I'll be doing my best, though, to post some of the best holiday shopping deals, etc.! I will be taking an extended break during the Thanksgiving holidays, so you'll notice a lack of posts during that time. I will be devoting that time to my family. But, I still have another giveaway to post for my Happy 100! giveaways! Stay tuned for that! The winners will be announced VERY soon! Gap, Old Navy, and Banana Republic are offering a special holiday gift to online shoppers, today only (online) . . . 30% off! Use coupon code MONDAY30, to get the discount. Snapfish is offering a great deal on photo books during the next couple of days—buy one photo book, get one FREE! Use coupon code 1122MERRY at checkout by the end of the day on 11/24. Joining or using Ebates first will ALSO earn you an EXTRA 11.5% cash back! DEAL ALERT: 20% off at Babies R' Us TODAY ONLY! Babies R' Us is offering a special 20% off your purchases, online only and TODAY only! Visit the link to take advantage of this deal. Now, if you join (it's free!) or are already a member of Ebates, you can get an EXTRA 1% cash back on purchases of gift cards and video games, and an EXTRA 2% cash back on any other Babies R' Us purchases. Again, this deal is TODAY ONLY! Well, after computer crashes and stomach bugs, I'm slowly getting back into the swing of things! Yay! Let me tell you, the past couple of weeks were TOUGH! I wasn't feeling good, and my computer was in the shop . . . not fun, not fun at all. Thankfully, my computer is back, and working great! Whew! Before we get started with WFW, I need to remind you (just in case you forgot) that I'M HOSTING GIVEAWAYS ALL MONTH LONG!!! Don't miss out! I've already had #1, #2, and #3, and #4 will be happening either this week or next! So, keep checking back on my "Happy 100 Giveaways" to enter . . . and win! 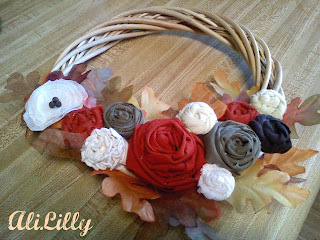 This is such a cute Fall wreath from AliLilly! I'm so inspired by this great end table re-do from Christina's Adventures! I love it when Restaurant.com offers their 80% discount! It's such a great deal! And they are doing it again. Get $25 restaurant gift certificates for only $2! Use discount code "GIVE" at checkout, to get your discount. This offer ends Monday, November 15, 2010. And, if you haven't done it yet, you should—join (it's FREE) or visit Ebates.com FIRST to receive an additional 15% cash back on your Restaurant.com purchase. UdderCovers is offering a free nursing cover, once again! I have one, and they're really handy. Plus, they make GREAT gifts!! The code to get your free nursing cover is "Thanksgiving." Go to www.uddercovers.com, click on "Shop Now," select the nursing cover you would like and you will automatically be repositioned to the center of the page where you can enter in the promo code “Thanksgiving” which will bring your product total to $0! You just pay shipping, which is less than $10. The promo is subject to stock being available, so hurry on over and grab your free nursing cover before they are gone. Happy bargain shopping! I'm sitting at my computer once again . . . after it took a break from me and went into the shop. One new RAM stick later, I'm hopefully back in business. Cross your fingers! Anyway, I appreciate your patience as these issues got worked out! More to come this week! Computer is back in the shop. Be back soon . . . hopefully!? 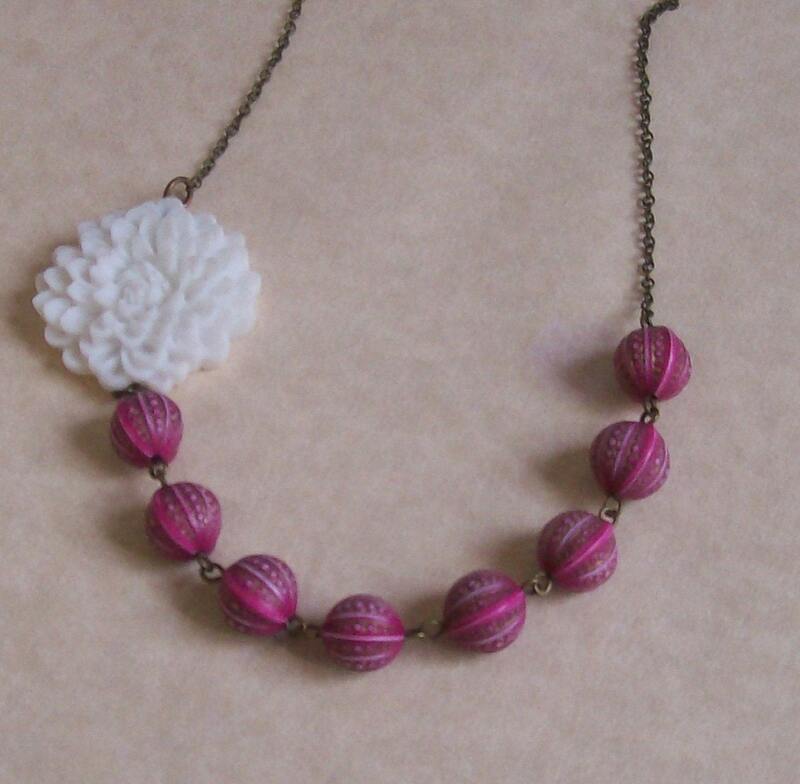 Happy 100, Giveaway #3: Jewelry from Connor Inspires Amy! Yes, it's time for another "Happy 100 Giveaway!" Bargain Shopping Paradise now has over 100 public followers, so I think we need to celebrate! And what better way to celebrate than giving gifts to you . . . my readers! Here's the scoop on the giveaways . . . each one will last 72 hours—that's 3 days. I'll announce all the winners when all the giveaways have ended, so you'll have to wait to see if you won. This next giveaway is sponsored by Etsy shop ConnorInspiresAmy! Amy isn't just out to have a business or make money. Her business is inspired by her disabled son, Connor. 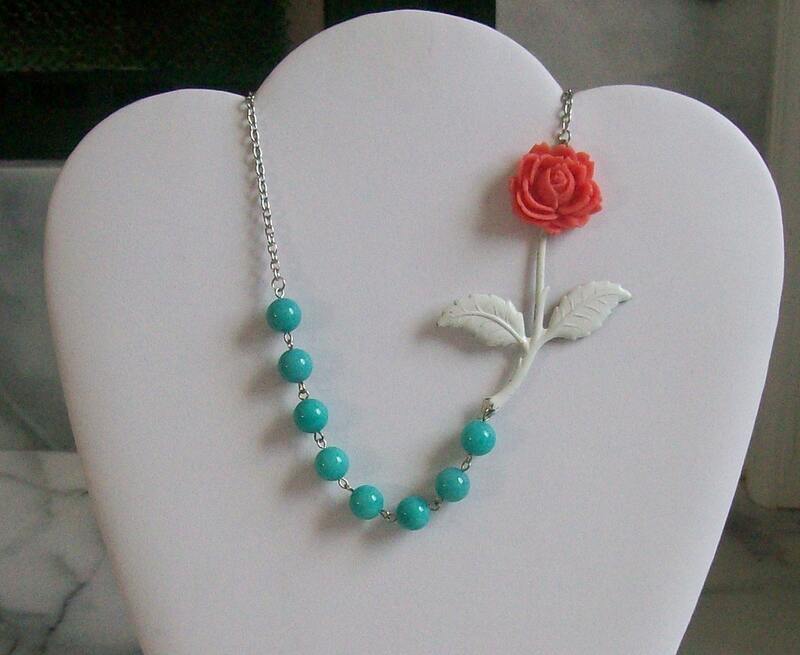 Here's what she has to say about why she makes jewelry: "My son Connor inspires me everyday. He has special needs and is disabled. I started making jewelry for him, So I could save money to get handicapped van. The majority of the money goes to that and the rest for supplies and our bills. I am grateful that God gave me a talent that I can use to benefit Connor. He is the love of my life and I would have no inspiration without him." A lot of her pieces are vintage inspired, and they're all so beautiful!! I'm just in love with her work! I would have posted more pictures of her jewelry, but I had to stop myself, or I would have posted pictures of EVERYTHING! Seriously, there are a lot of pieces in her collection that I NEED. Really! I need them! So, are you so excited that you have a chance to win something in her shop??? I am so jealous! But, now to the giveaway . 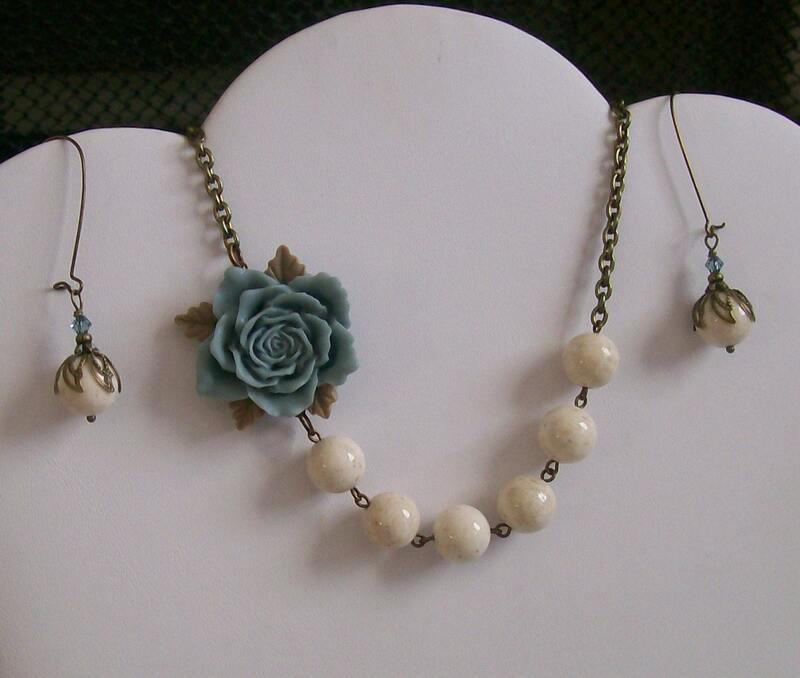 . .
One fortunate BSP reader will win a beautiful Georgianna necklace AND matching earrings from ConnorInspiresAmy!!! TO ENTER (mandatory for entry): Visit ConnorInspiresAmy, then leave a comment here letting me know what item your would purchase for a loved one, and why. Share this giveaway on Facebook or Twitter, and leave 1 EXTRA comment here, telling me that you're spreading the word (only one share or tweet per giveaway—not daily). Purchase something from ConnorInspiresAmy—worth 3 extra comments! Be sure to share what you bought! AND . 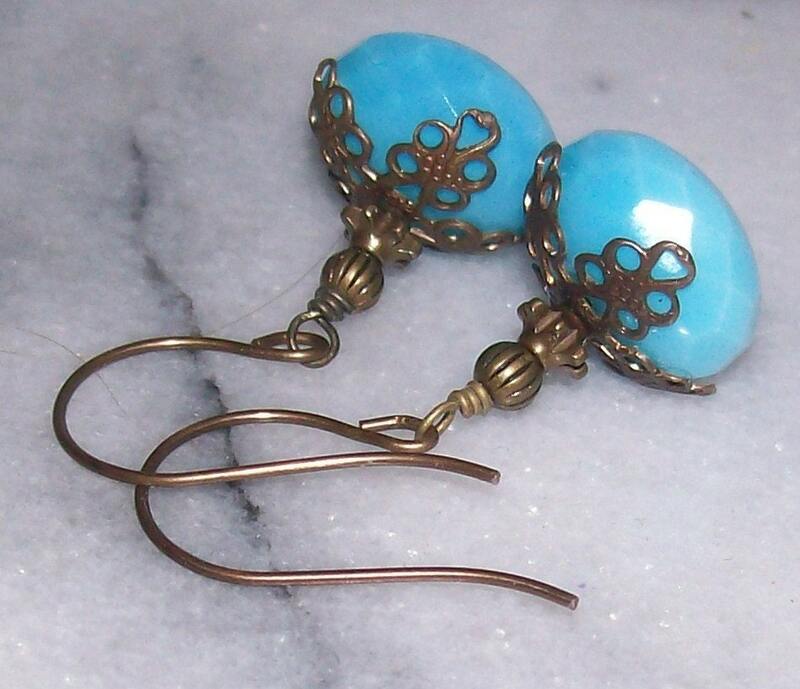 . . exclusively for BSP readers, if you purchase something from her store, Amy will throw in your choice of this ring OR these earrings FREE! Become a public follower of BSP, or subscribe to the RSS feed, and leave 1 EXTRA comment here letting me know that you're a follower/subscriber (or that you're already a follower/subscriber). Blog about this giveaway, and leave 1 EXTRA comment with a link to your post. 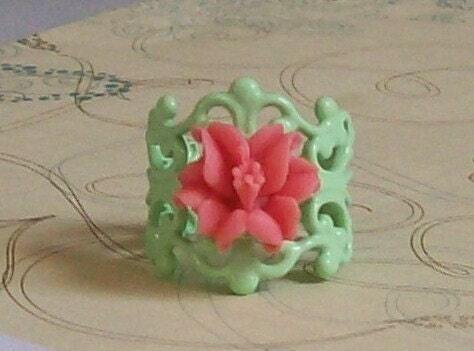 "Like" Bargain Shopping Paradise on Facebook, and leave 1 EXTRA comment here letting me know that you did. This giveaway ends on Thursday, November 4, at 3:45 PM (Eastern). Back and ready to go! More giveaways coming! Hello, faithful BSP readers! The stomach bug has cleared it's way through our house, and while it left us exhausted last week, I'm back in the swing of things this week. I do apologize for the delay in postings, and of course, for putting a pause on my "Happy 100" giveaways! It pained me to do it, but it's back on course, and I'm ready to giveaway more wonderful gifts THIS WEEK! For more information on why I'm doing giveaways, read my other "Happy 100" giveaway posts. In light of the delay in giveaways, I'll be pushing back the announcement of the winners, and the giveaways will be ending by the end of November. That is when I will announce all the winners! So, stay tuned! I hope you are all staying well . . . you don't want what we had, that's for sure! And I hope you all had a wonderful Halloween and All Saints Day. Just to leave you with a fun little tidbit from our lives, here's our little pumpkin family that sits on our front doorstep.